It's a rare day when news of a remake elicits a general response of, "Oh, that's a great idea." 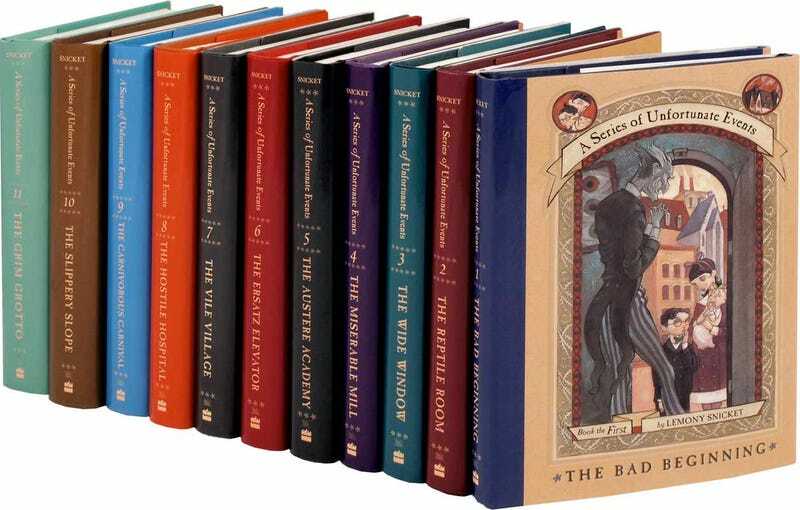 But given that the first attempt to turn Lemony Snicket's series about a trio of savvy orphans and their scheming evil uncle into a big-screen adaptation fell somewhat flat, the recent announcement that Netflix is going to be trying their hand at a TV version seems like an occasion for cautious optimism. First because TV now seems like a natural format for a lengthy book series (Outlander being a recent example), but also because when working with child actors, the gaps between films can often yield growth spurts and voice changes that might stand in the way of a seamless book-to-screen transition. Though it seems unthinkable now, there was a time when Warner Brothers was floating the idea that the Harry Potter kids might need to get a cast refresh to avoid a bunch of 20-somethings playing less-than-believable teens. For better or worse, that didn't wind up happening, but it's easy to see why it may have seemed necessary at the time. In any event, I'll keep to cautious optimism with this announcement and the hope that it brings a new generation of kids back to Snicket's fun and fantastical kids' series.